Dogs have served humans for thousands of years in various capacities. Working dogs are disciplined animals that love to work along-side handlers and there seems to be no limit to what dogs can do with proper training. The dedicated staff of the Institute for Canine Forensics (ICF) in Northern California specialize in human remains detection by canines. More specifically, ICF trains and works with dogs to find historic and prehistoric human remains. Some of their teams also certify to search for forensic evidence. While dogs have assisted law enforcement for a variety of tasks including search and rescue, ICF specializes on a very specific type of investigation. According to Lynne Engelbert, a canine search specialist certified in historical human remains detection, canine teams from ICF are trained to work slowly and methodically to investigate culturally rich areas. These include areas such as Native American burial grounds. Engelbert, with her highly trained dog Piper, can find forensic evidence and help preserve burial grounds with cultural significance. In some cases, Engelbert has worked with canines to uncover evidence of burials that are thousands of years old. The evidence these dogs discover provide significant information that assist archeologists. In turn this often leads to the protection of culturally significant sites. Engelbert has participated in hundreds of searches across the country. According to her, there are many specific characteristics she considers when choosing a dog to train for this highly specialized skill. First and foremost, the dogs must have a strong drive to hunt. They must “want to hunt things,” she said. A dog with a high hunt drive is ideal because they do not give up when directed to find something. A high hunt drive is different from a high prey drive which is when a dog enjoys chasing and capturing prey. 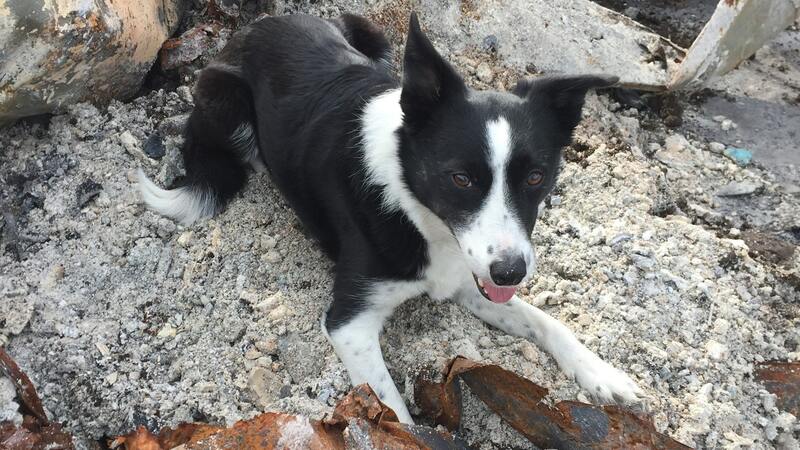 Piper, a human remains detection (HRD) canine that Engelbert trained and works with, simply “loves old bones.” It is obvious that Piper truly enjoys hunting for bones. When a dog naturally wants to hunt, Engelbert starts training the dog by hiding bones for the dog to find. She also works to improve the dog’s memory and teaches the dog “what you want them to find and how to tell you when they find it.” For example, Piper has been trained to hunt for human remains and once located, she “alerts” by laying on top of the ground where it is buried. In addition to possessing a superior sense of smell, HRD dogs must be comfortable working with humans and other dogs. They must also “need a job” and enjoy working. 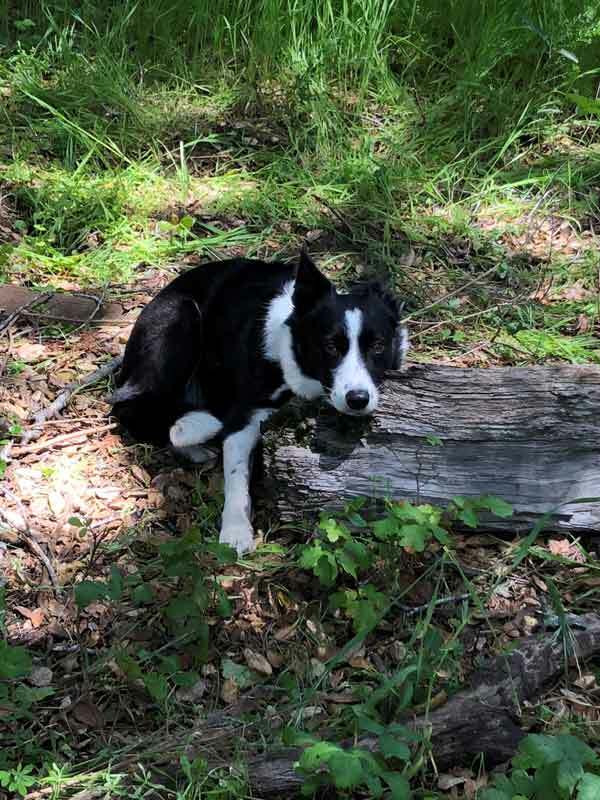 There isn’t necessarily one particular breed that will be successful as an HRD dog, but Engelbert looks for breeds known for herding or hunting. All the dogs that Engelbert has trained have been rescues. Sometimes she will look at over a hundred dogs before selecting the right dog for the job. Once the dog is trained and certified, the ICF canine teams begin work on various projects involving historic or prehistoric sites. The work is rewarding for the dogs as well as handlers. Engelbert is proud of the impact her work has had, particularly the success with American Indian tribes. ICF canines have uncovered evidence of ancestral burial grounds estimated to be 4,000 years old. This evidence can help preserve burial sites or more significantly, prevent the destruction of sacred cultural sites and assist in preserving their culture. Currently, Engelbert and ICF focuses on human remains for historical preservation. 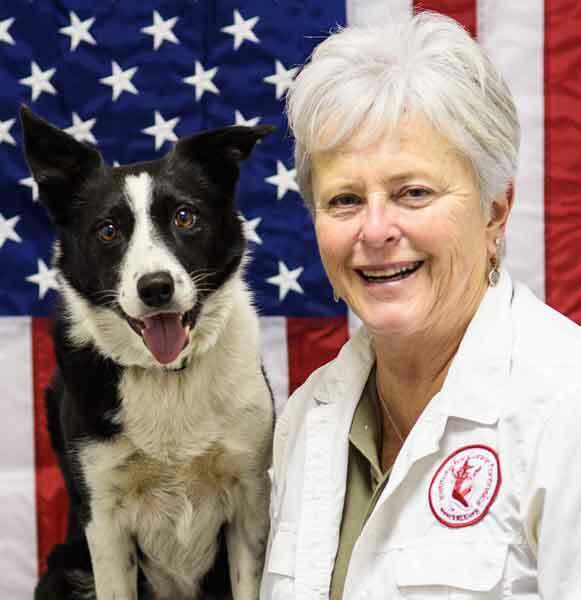 In the past, however, she has worked assisted law enforcement, FEMA (Federal Emergency Management Agency), and NASA with the help of her special canines. Engelbert has provided canine teams to law enforcement on a pro bono basis to help locate murder victims or find blood evidence. In one case, canines in her team discovered a murder victim buried 10 feet below the ground. Historic cases are very different from search and rescues, in which dogs try to locate lost or missing people. HRD dogs are trained to hunt for bones and human remains using the scent of human remains. This can be difficult to detect due to the bodies sometimes being completely decomposed or wrapped tightly in a shroud. As part of FEMA task forces, Engelbert and her dogs have participated in searches after 9/11, the World Trade Center bombing and hurricanes. Her work with NASA included the search for remains after the Columbia Shuttle crash. A particularly daunting task that required searching a targeted area of the 40 by 100 miles wide search area. 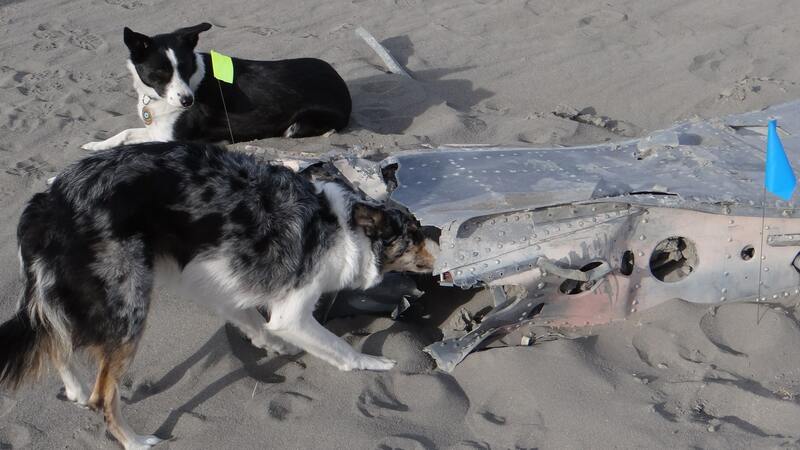 Fortunately, the canine teams successfully aided in the location of the remains of all seven astronauts. In 2017, Engelbert and Piper along with six other canine teams volunteered to help after 3000 homes were destroyed by the Santa Rosa Fire. According to Engelbert, they discovered a new task that only the highly trained canines could accomplish. Many families lost their homes along with everything they owned. Others were desperate to find the ashes of their previously cremated loved ones that were in their homes when when it was destroyed by the fire. Amazingly, the canines recovered 38 sets of cremains out of the 40 families seeking them. Piper found one set of cremains less than three minutes after Engelbert gave her instructions. The team of humans and canines at ICF are dedicated to improving canine detection methods and practices. They provide training and education as well as direct services. The dogs work tirelessly and carefully to act as a non-invasive tool in human remains detection. They are truly making history every time they go to work. Piper alerts to a possible historic burial location. ICF canines are an ideal choice for locating areas such as these. Not only because of their keen sense of smell, but due to their ability to leave a site relatively undisturbed.